We recently had a client request that we display the Latitude and Longitude of Cogo Points formatted as degrees and decimal minutes. This format seems to have become a standard display format of many hand-held GPS units. 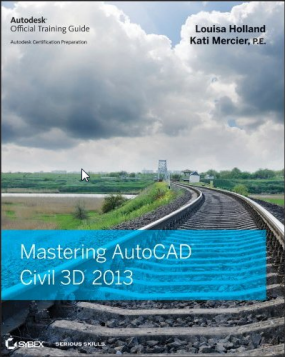 Unfortunately, Civil 3D does not contain a built-in option for formatting Latitude and Longitude in decimal minutes. 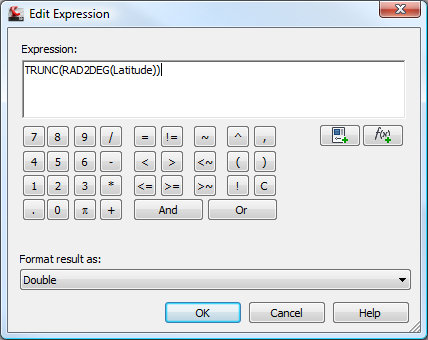 No problem, I thought… I’ll simply use some expressions. But it turned out to be a much more difficult task than I expected… Read on for the details. 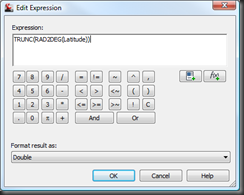 The Expression for longitude is the same as the above expression, except substituting “longitude” for “latitude” in the above Expression. 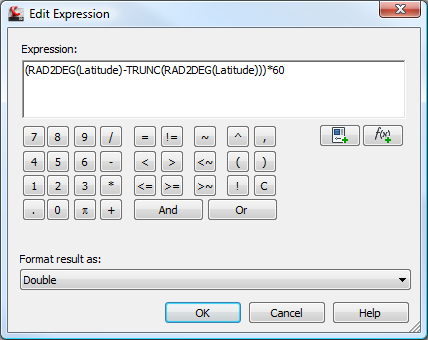 However, when it came to getting the latitude or longitude truncated to the nearest degree, I ran into a problem. 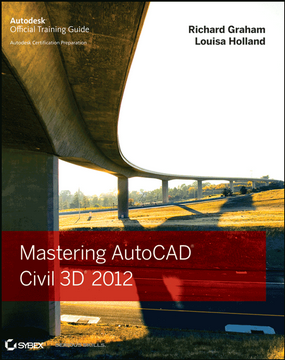 It appears there is a bug in Civil 3D (well, at least in Civil 3D 2008 through the initial 2011 version, which is the current release as of this writing). In a Civil 3D style, if we specify a precision of “degree” for a latitude or longitude, then the “Truncate” option does not work properly. Instead of truncating the value, it applies normal rounding. This can result in the wrong value being displayed for the degrees in our lat/long – that’s not good. And again, we need another Expression similar to the one above, for the longitude. Now, finally, we have latitude and longitude formatted as decimal minutes! Here’s a previous post as another related option. Ah, that’s a cleaner solution. I hadn’t noticed the option for displaying only the “DDD part” – that’s a much better way of getting around the rounding bug than what I did. Thanks Sinc. I will be needing this shortly.